Planning a College Road Trip? Now that we're into fall, seniors may be feeling the pressure to narrow down their college lists--especially considering that early application deadlines are just days away. While Early Decision is known to have advantages such as higher admit rates, nobody wants to be bound to a school that is in fact not a good fit! For those of you planning last minute trips, U.S. News has put together some great resources for you here. To get started, just pick the state that you're heading, and take a look at their own notes on each school before you head out and get a feel for the schools yourself. Ultimately, visiting the school is really the only way to be sure that a school feels right! 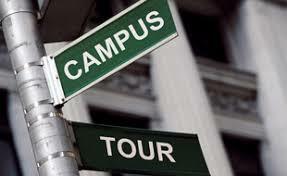 Posted in News | Comments Off on Planning a College Road Trip?